LAKE SHORE SYSTEMS, based in Kingsford, won the Business of the Year Award. 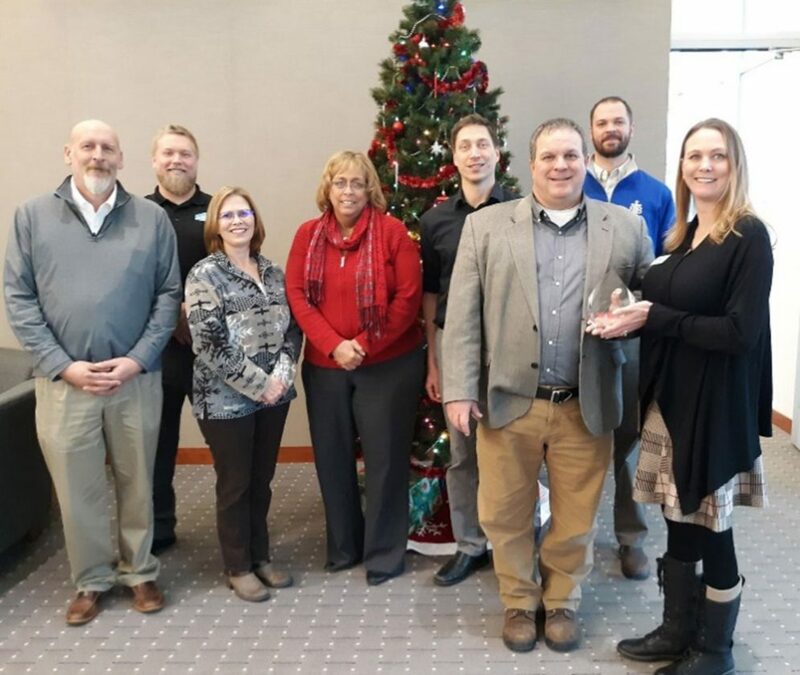 From left are Dan Bruso, vice president of operations; Josh Anttonen; Karen Luce; Pam Meneghini; Nick Fornetti; Charles Munk, director of human resources; Scott Cameron, director of quality; and Erika Justus of award sponsor Michigan Works! THE FORM HOUSE of Iron Mountain received the Small Business of the Year award. From left are Ron Zeman, Jeanne Richards, Bruce Rosen and Becky Lindgren. 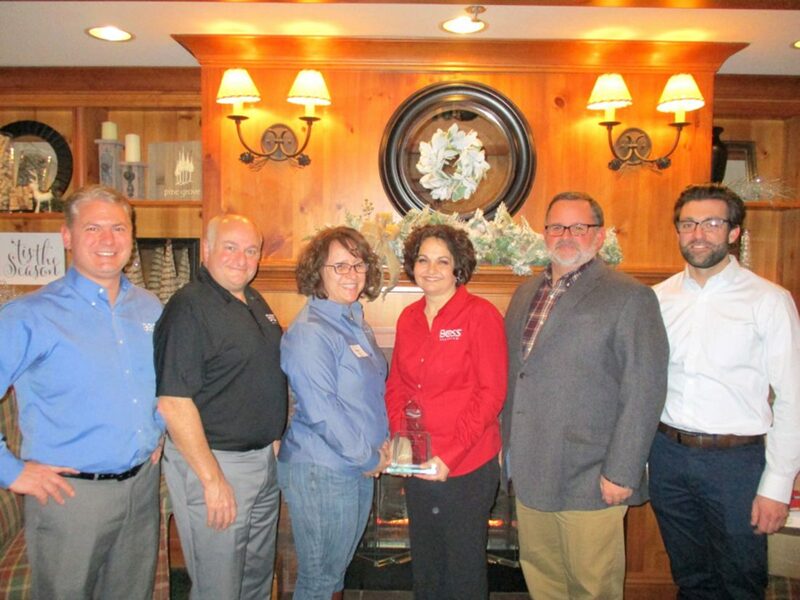 BOSS SNOWPLOW/THE TORO COMPANY of Iron Mountain was recognized as the Large Business of the Year. From left are Jody Christy, Joe Jaeger, Renee Forstrom, Justina Blazier, Mark Klossner and Jon Coyne. 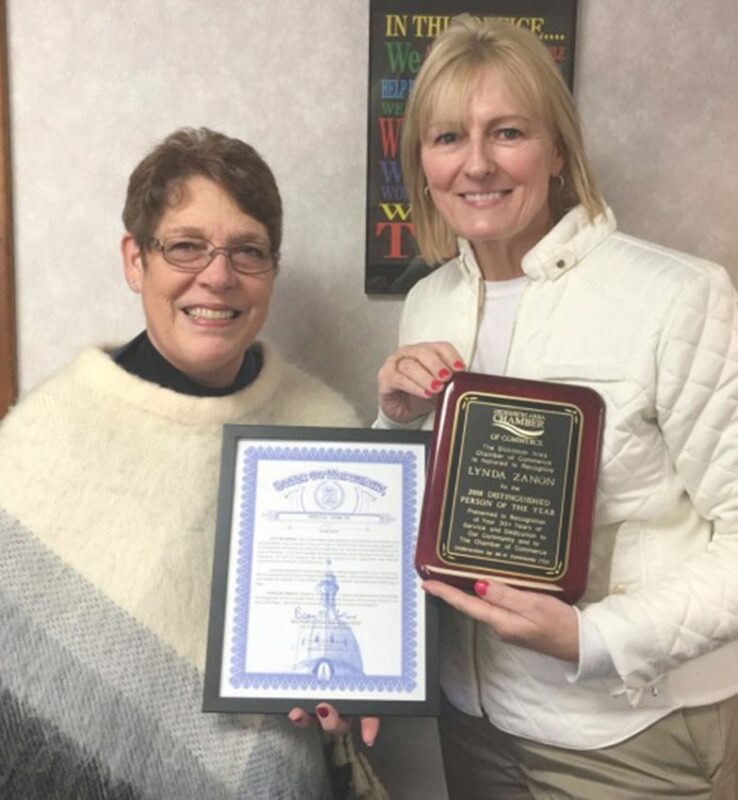 THE CHAMBER OF COMMERCE Person of the Year for 2018 is Lynda Zanon, left, the retired chamber executive director, shown with Suzanne Larson, the current executive director. 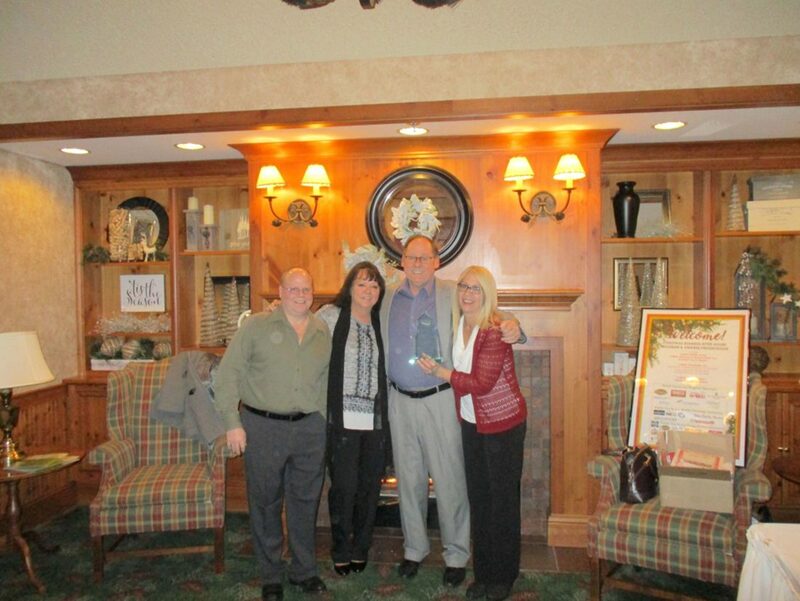 IRON MOUNTAIN — The Dickinson Area Chamber of Commerce hosted its first combined Christmas Business After Hours and awards presentation Dec. 13 at Pine Grove Country Club in Iron Mountain. — Michigan Works! Business Of The Year: Lake Shore Systems. Founded in Marquette in 1858, Lake Shore has been designing and manufacturing complex heavy machinery for maritime and mining applications for 160 years. Headquartered in Kingsford, they have operations in Iron River, Ontonagon and Rhinelander, Wis.
— Small Business Of The Year: The Form House. Bruce Rosen and his staff go above and beyond to assist businesses with their printing needs. 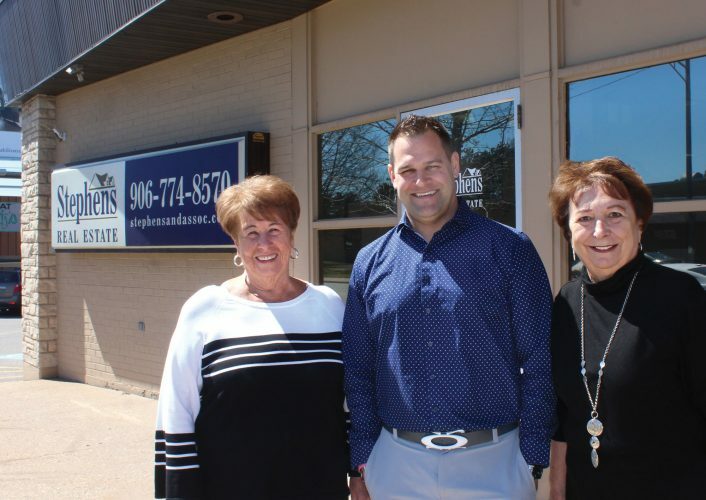 The Form House has been in Iron Mountain since June 1982 and has seen significant growth, both in numbers of customers they serve as well as continued community involvement and support. — Large Business Of The Year: Boss Snowplow/The Toro Company, which was established in the community by a local businessman. Boss has not only helped and contributed to the Dickinson County Bike Path through their employee community work hours on various projects and sponsorship of their bike rides, but they have helped numerous organizations and schools to better enhance the area. — Chamber Of Commerce Person Of The Year: Lynda Zanon, who work in the Chamber of Commerce for more than 30 years, retiring as executive director in June. The evening was dedicated to socializing, networking and recognizing individuals and businesses that contribute to the success of the Chamber of Commerce and to the betterment of the community. Chamber Executive Director Suzanne Larson was master of ceremonies. Prizes awarded totaled more than $6,000. Sponsors included The First National Bank and Trust, Boss/The Toro Company, Michigan Works!, Walmart, Aflac and Constellation NewEnergy Gas Division. Media package sponsors included Fox UP/Upper Michigan’s Source, Sovereign Communications, TV 6, The Daily News and The Advertiser. Swag and award sponsors included ProTech Lube Center, Crispigna’s, Culver’s, B&B Tire & Auto, Campion’s True Value, Wendy’s, Oak Crest Golf Course, Iron Mountain-Kingsford Community Federal Credit Union, The Pasty Oven, Classic Auto Collision, Eureka Tire Company and the Dickinson Area Chamber of Commerce Ambassadors.